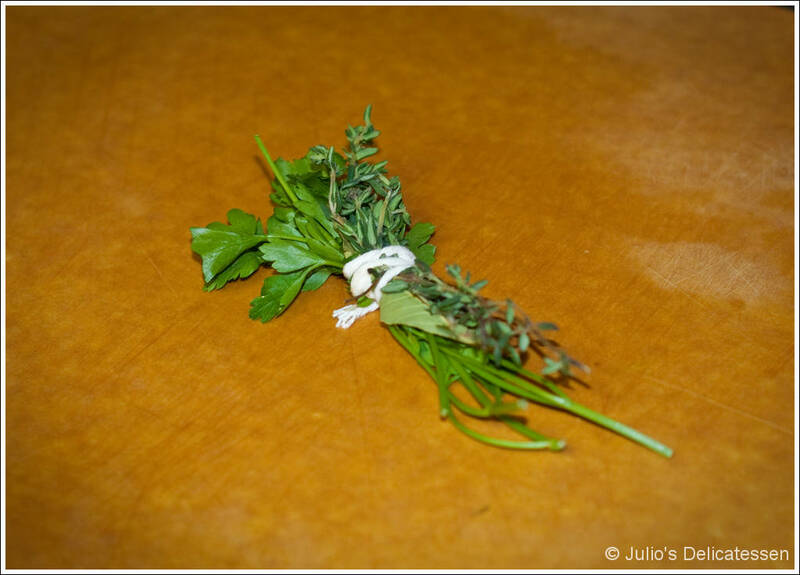 A bouquet garni is flat parsley, bay leaf, and thyme tied together with twine or wrapped in cheesecloth. 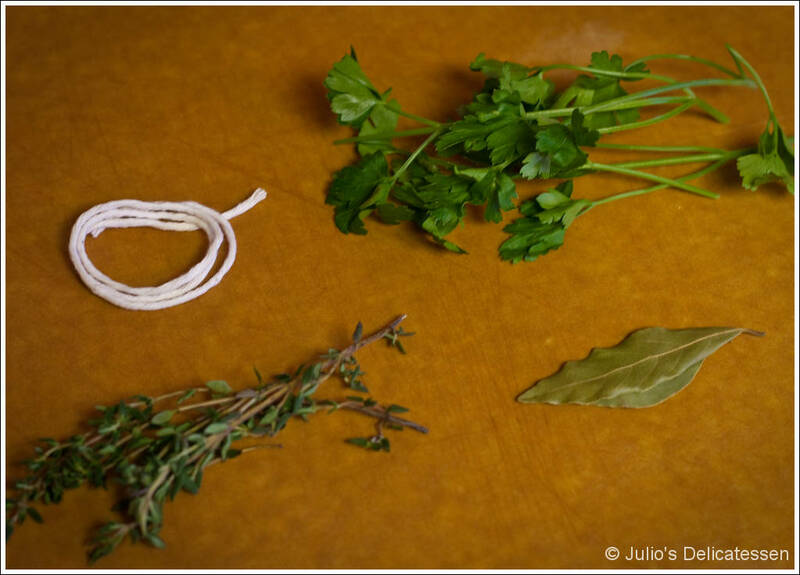 It’s great for flavoring soups, stews, and sauces. Don’t forget to remove it before you serve.